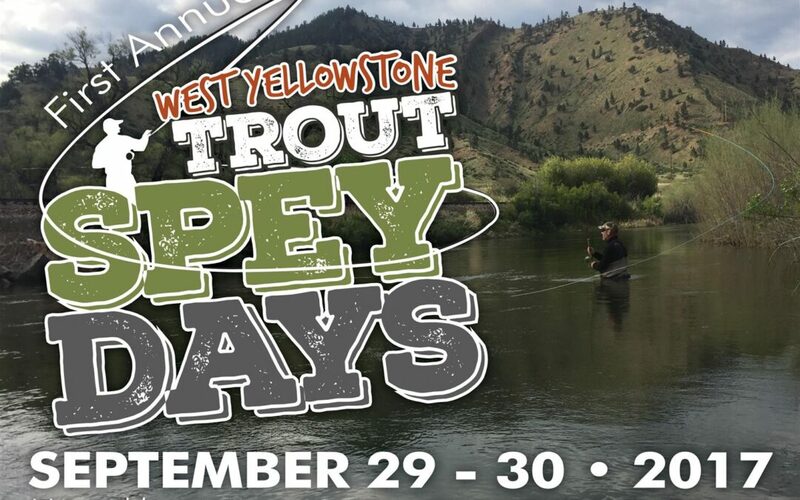 West Yellowstone Trout Spey Days! This event is the brainchild of Big Sky Anglers co-owner Justin Spence, and Sage/Rio/Redington rep Kurt Kruger. This year we’re keeping things small and low key, and we’d love it if you can make it. Our hope is that the event will offer folks a place and time to meet up, hang out, share knowledge and information, and maybe find a new fishing buddy or two. Are you already into Spey casting and fishing for trout? Maybe you have heard of it, but have never picked up a Spey rod, and are interested in getting involved in this super fun way to fish for trout? This event is open to everyone, regardless of skill/experience level, age, fly shop or industry affiliation, etc. We plan on having a selection of demo gear on hand for folks to check out, including Spey rods and lines from Sage, Rio, Redington, Echo, Airflo, Winston, Scott, and OPST. Take a look below for our event calendar as well as a list of presenters and instructors that will be on hand. We are super excited to have none other than Spey guru Simon Gawesworth headlining our list of instructors/demonstrators. 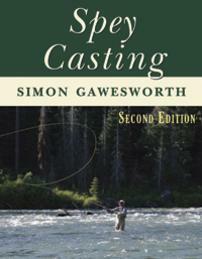 If you don’t know Simon, he is a world renowned Spey caster, instructor, author of three books on Spey casting, and a super nice dude. We will have copies of his two books (Spey Casting and the must have Single-Handed Spey Casting) on hand at the shop to purchase and have signed. If you already have his books, bring ’em by for sure. Meet a host of experienced Spey casters,Trout Spey anglers, and instructors, and get dialed in to enjoy a whole new approach to trout fishing. Everyone is welcome! Whether you are just beginning your journey with 2-handed rods and Spey casting, or you are a veteran with the long rod, please stop in and say hi, hang out, and talk rods, lines, casting technique, presentation, and flies used in Trout Spey and beyond. Kurt Kruger, rep for Sage/RIO/Redington, will be set up with a bunch of rods and reels to check out, and will be talking about and answering questions about them. Simon Gawesworth will be holding court at the coffee bar in the back of the shop and talking all things Trout Spey, and maybe signing a few of his books. Justin Spence and Matt Klara from Big Sky Anglers will be around talking Trout Spey, and sharing a few stories and tips learned over the years. These two actually started in Trout Spey together on the Madison back around 2000. Big Sky Anglers shop staff will be on hand to help out with recommendations on where to fish locally, and set you up with any flies, gear, etc you may need. Bring your own gear or try out some of ours! 11:00am – 11:15am Introductions and Welcome! 3:00pm – 4:00pm Casting sessions with all presenters. 4:00pm Head back to the flyshop for the BBQ! The on water portion of this event is being hosted on the public lands of Custer Gallatin National Forest. Thanks to them, of course, for supporting this event! Book signing with Simon Gawesworth. Simon Gawesworth – World Authority on Spey Casting, T.H.C.I, and RIO flyline guru. Simon’s father taught him to fish at the age of 8 and he’s been teaching fly casting professionally since the age of 16. With over 35 years of teaching experience, Simon is a highly sought-after instructor. 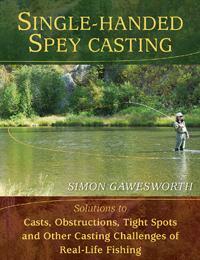 He has written 3 books on Spey casting. He has both cast and fished for England in British, European and World Championships and was elected Captain of the England team for the 2003 World Fly Fishing Championship. Simon is A.P.G.A.I. and S.T.A.N.I.C. certified in the U.K. and C.I., Master and T.H.C.I. certified in the U.S. Acknowledged as one of the world’s leading authorities on spey casting, he has taught and demonstrated spey casting around the world. Simon currently lives in South West Washington with his family and a water-loving dog! Matt’s journey into Spey casting and fishing actually began with trout back in 2000, on the Madison River just outside of West Yellowstone. At that point, he was hitting the river with a borrowed 14 ft 8/9wt rod and an old Rio Windcutter line. And by hitting, we mean actually hitting, thrashing, cussing, and occasionally putting one out there well enough to fool a fish (his words, not ours) . Matt’s technique and understanding of two-handed casting and fishing have come along greatly since then, to say the least, and so has the equipment available for trout Spey. He left Montana at one point for a 7 year stint in Oregon where 90% of his fishing was done with two-handed rods, but moved back “home” in 2015. Currently residing in Helena with his wife and young son, Matt’s now the guy that folks here at Big Sky Anglers look to for help with their casting, gear selection, and more. Whether its trout, steelhead, or salmon, on the two-hander, he is happy to teach and share what he’s learned on his own journey. Rick started in the industry back in the mid 80’s and has since guided and fished his way across many of the West’s great trout waters. He later hosted Flyfishing America on ESPN and traveled across the country fishing some great locations from Alaska to Washington. Spey casting are for both steelhead and trout are passions within flyfishing that have captivated him for awhile. 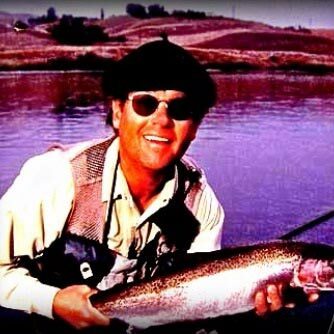 In his words, “Swinging flies for steelhead or their freshwater cousins is an exciting game, it’s the grab that is so addictive!” Rick has been fortunate to have fished with many of the legends of Spey casting and fishing over his career, including Scott O’Donnell and Trey Combs. He looks forward to sharing what he has learned from them and others with you at Spey Days. Jesse has worked for the Far Bank brands – Sage, RIO, and Redington – since 2011, helping bring to market a host of Spey and Trout Spey products including the ONE and HYDROGEN Trout Spey Rods and Skagit Trout Max lines, among others. He has fished two-handed rods from New England to the Great Lakes, across the Rockies, and the Pacific Northwest up to British Columbia. 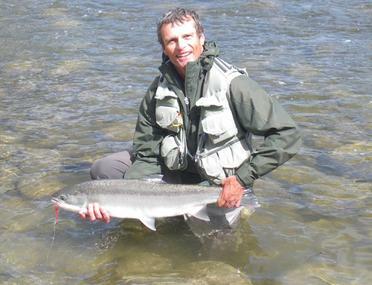 He is a certified casting instructor and frequent contributor to several fly fishing magazines. Keith is a transplant to Montana from the Seattle area. Having “searched” the steelhead waters of the Pacific Northwest since 1976, he noticed only two things missing in Montana other than steelhead – nobody was using a two-hander and swinging flies for trout, and there was a dearth of knowledge available locally on Spey equipment and casting. That’s why he started Montana Spey in 2010 – to teach and share what he has learned from 25 years of long-rodding.